Episode 13 from Season 1 - Watch this. 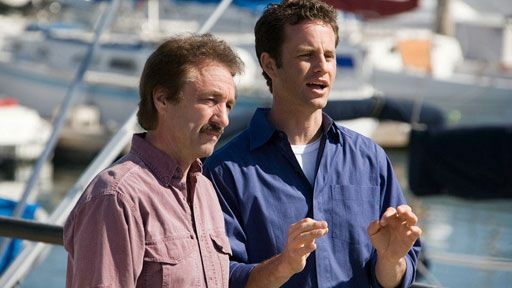 Biblical teaching presented by Kirk Cameron and Ray Comfort. From the award winning TV program, Way of the Master. Copyright 2006 -2011, All Rights Reserved. No unauthorized use or duplication permitted. From Living Waters, creators of the award-winning TV program “The Way of the Master” and the hit movies “180” and “Evolution vs. God,” comes the powerful film “Audacity.” Executive produced by TV co-host and best-selling author Ray Comfort (Hell’s Best Kept Secret, Scientific Facts in the Bible), this film delivers an unexpected, eye-opening look at the controversial topic of homosexuality. “Audacity” uses a unique approach to address a very sensitive subject in contemporary society. Regardless of your views on the gay lifestyle, you’ll gain fresh insights and a new perspective. INSPIRING and EQUIPPING Christians in FULFILLING the Great Commission. Tune in each day to Living Waters University where Ray Comfort & Kirk Cameron educate God's people in the principles of biblical evangelism through on-the-street witnessing interviews with every day people; demonstrating practical tools available to fulfill the Great Commission. Kirk Cameron played "Mike Seaver" for 8 years on the hit sit-com "Growing Pains." He also played the lead rolls in the Left Behind movies and Fireproof. Ray Comfort is the best-selling author of more than 60 books, including You Can Lead an Atheist to Evidence But You Can't Make Him Think, Nothing Created Everything (with special cover-condemnation by Richard Dawkins), God Doesn't Believe in Atheists, and Evolution — the Fairy Tale For Grownups. His booklet "The Atheist Test" has sold more than a million copies. He is the co-host of an award-winning television program (with actor Kirk Cameron), blogs daily to hundreds of atheists at "Atheist Central," has debated atheistic evolution on ABC's Nightline and on the BBC, and was a platform speaker at American Atheists, Inc. at their annual convention in 2001. He is a New Zealander, who lives with his wife, Sue, in Southern California, where they have three grown children.